Need an elegant and stylish sleeve to hold your iPad Air 2 when you’re on the go with it? 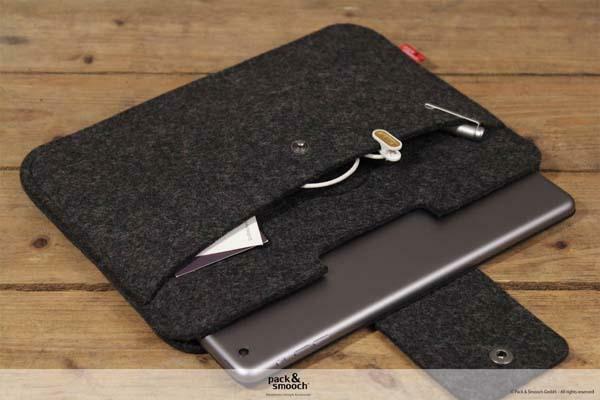 Take a look at the handmade wool felt iPad Air 2 sleeve, it may be a nice solution. This is a well-crafted and practical protective sleeve designed for iPad Air 2 with or without Apple Smart Cover. 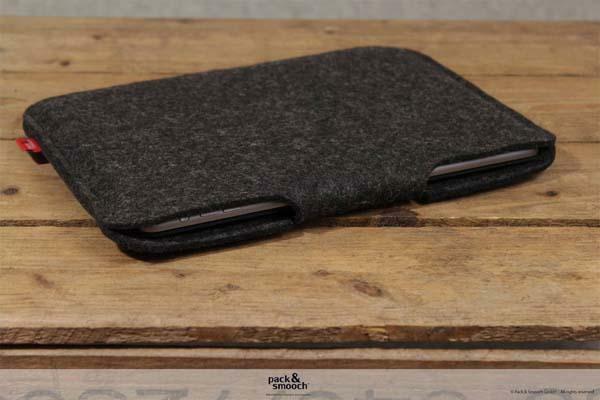 The sleeve styled iPad Air 2 case features a low-profile and fashionable design and is handcrafted with 100% wool felt approx measuring 1/8″ thick in order to tenderly hold your iPad Air 2 and guard it from accidental bumps and scratches, and its closure keeps your iPad Air 2 securely in place when you take it on the go. Moreover, the iPad Air 2 case Aldo features an extra pocket to contain other accessories like charging cable, earbuds, stylus, pens, passport and more, and it also enhances the protection of the sleeve. 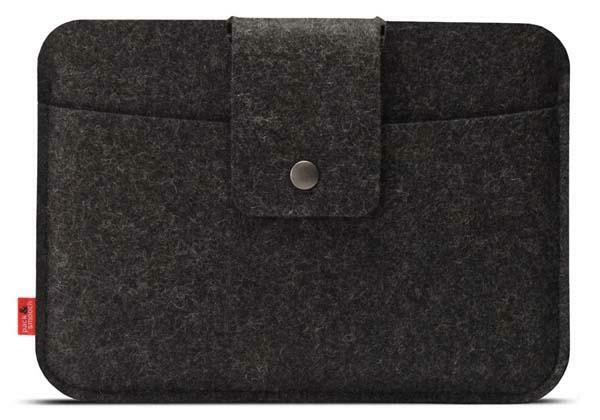 The handmade wool felt iPad Air 2 sleeve is available in five colors and is priced at $40 USD. If you like it, head to Etsy for more detailed description.